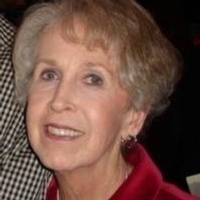 Faith Esther “Faye” Parks, of Macon, passed away Monday, January 28, 2019. A Memorial Service will be held on Friday, February 1, 2019, at 11:00 AM, in the Chapel at Ingleside Baptist Church. Dr. Mark Hudgins will officiate. The family will greet friends in the fellowship hall one hour prior to the service. Burial will be private. In lieu of flowers, the family requests that donations be made to Ingleside Baptist Church, 834 Wimbish Road, Macon, GA 31210, or to the Scleroderma Foundation, P.O. Box 522, Lilburn, GA 30048. Faith was an active member of Ingleside Baptist Church, where she was a member of the Kate Davis Sunday School Class. She was also a member of the Wesleyan Garden Club, which is one of the garden clubs making up the Federated Garden Club, and The Auxiliary of The Gideons International. Faith loved to bake and enjoyed going to the beach with her husband and family. Survivors: Husband, Harvey Parks; Son, Lance (Lynne) Parks; Daughter, Melissa (Billy) Sexton; Daughter, Michelle (Randy) Griffin; Grandchildren, Paula (Elzie) Tillman, Dana Parks, Meghan (Logan) Andos, Jakob Sexton, Ashley (Steven) King, Savannah (Zach) Calhoun and Sara Griffin, and 5 great grandchildren. Hart’s Mortuary at the Cupola has charge of arrangements.